At Arity, I build mathematical models that help predict a driver’s true cost to insure based on his/her actual driving behavior. Arity is a predictive analytics company focused on providing value to insurance and shared mobility companies through insights and algorithms built on billions of miles of driving data. My bike. It’s carbon free, I burn off some calories, and I almost never have trouble finding a parking space. 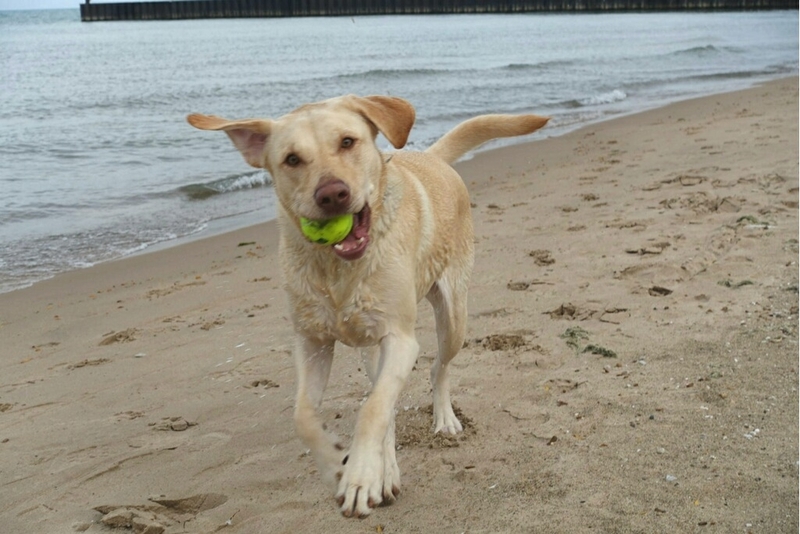 Running down to Lake Michigan with my yellow Labrador, Sydney. She loves to swim so we’ll play some fetch in the water before running home. I adore dogs so I spend Wednesday evenings at my local animal shelter, feeding and walking the pups. Cross-country ski every chance I can get during the winter—the more snow, the better! ”Keep Your Head Up” by Andy Grammer. It’s such a positive song that always provides an extra boost of motivation when I’m on a long run. Silent. I’m an introvert, and I need that time to recharge. Yes, I would. People seem to underestimate just how dangerous everyday humans are as drivers. I think we’re at the point where these self-driving algorithms are at least as safe as your average guy behind the wheel. Thomas Edison. Talk about a guy who just wouldn’t quit. When working on the incandescent lightbulb, he said: “I haven’t failed, I’ve just found 10,000 ways this won’t work”. I try to channel his dogged optimism when things aren’t going my way. Want to be like Mel? Check out Arity’s open positions. In our #WeAreArity series, we shine a spotlight on Arity employees each week. This week meet, Senior Data Scientist, Ben Yeomans. In our #WeAreArity series, we shine a spotlight on Arity employees each week. This week meet, VP of Operational Excellence, Joy Thomas. In our #WeAreArity series, we shine a spotlight on Arity employees each week. This week meet, digital marketing manager, Pavielle Goldman.